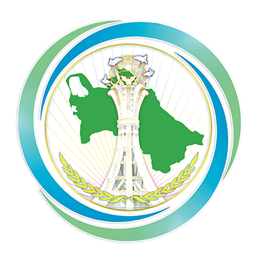 On February 15, 2019, at the Institute of International Relations of the Ministry of Foreign Affairs of Turkmenistan, the Ministry of Education of Turkmenistan, jointly with the National Center of Trade Unions and the head of the Berkararlyk district of Ashgabat, held a solemn event called “The Triumph of National Diplomacy in the Epoch of Power and Happiness” dedicated to the Day of Diplomatic Worker of Turkmenistan. The event was attended by the employees of the Ministry of Foreign Affairs of Turkmenistan, employees of the Khyakimlik of the Berkaralyk district of Ashgabat, students and teachers of the Institute of International Relations of the Ministry of Foreign Affairs of Turkmenistan, as well as students and teachers of secondary schools attached to the Institute. At the beginning of the commemorative meeting, the heads of the organizations participating in the event and experienced teachers delivered welcoming words. Then, the most distinguished employees of the diplomatic service of Turkmenistan on the occasion of the Day of Diplomatic Worker were presented with certificates of merit and souvenirs. Next was a concert. During the concert, the teachers of the Turkmen National Conservatory and students of the Institute of International Relations in different languages ​​performed songs glorifying our neutral homeland, which is developing under the guidance of the distinguished Hero-Arkadag. At the end of the solemn event, the participants expressed their wishes for good health, long life and success in all endeavors to the distinguished President of Turkmenistan, who is at the head of a dynamically developing educational and scientific policy.